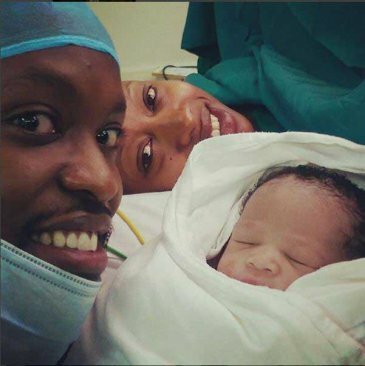 Citizen TV presenter Janet Mbugua is now a proud mother of a baby boy. Ethan Huru Ndichu was born on Monday morning to the TV personality and her husband Eddie Ndichu. Janet’s pregnancy and journey to motherhood has been well documented over the past couple of months. East Africa’s general insurer, Resolution Insurance hosted a baby shower event for the celebrated anchor. The company entered into a three-year mutual partnership with the celebrated media personality on a new project 'The Journey with Janet' in August 2015. Congratulations to Janet and Ndichu.